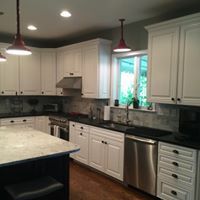 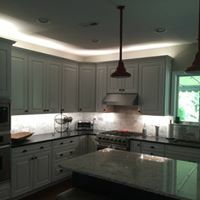 Electrical Solutions installed under cabinet and over cabinet LED energy efficient lighting along with recessed lighting throughout the kitchen. 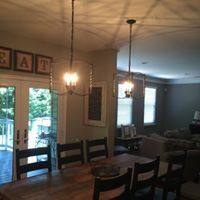 At the breakfast nook and bar, we installed pendant lighting. 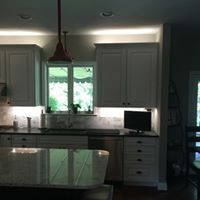 If you’re looking for Landscape Lighting services in Wilmington, DE then please call 302-994-6252 or complete our online request form.